In my last post, I noted that the major upgrade to Feisty as of Tribe 1 was The Gimp. 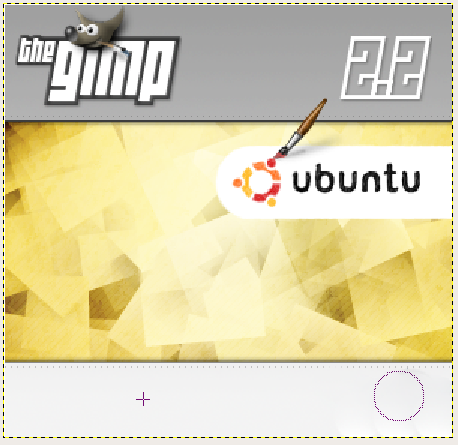 Now it's time to see what has changed in the latest installment, which will be released under the name Gimp 2.4. The major change for this release seems to be a big usability overhaul. 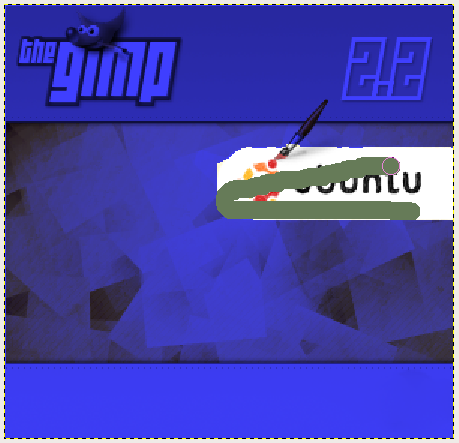 New defaults are now in place that make the Gimp look a little bit like Photoshop, but still has many features that make it unique. 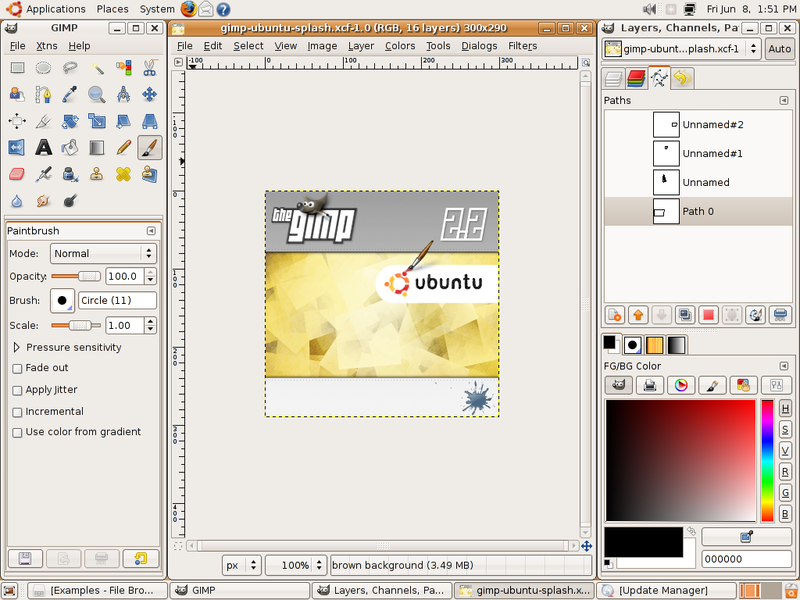 As you can see from the picture above, Gimp has some major and minor tweaks to the default interface. First is the inclusion of a Tango-style icon theme. You now get to finally have icons that match your desktop. A minor, but still important change, is the inclusion of a color picker in the default layout. 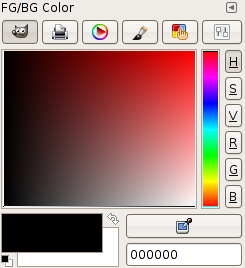 This color picker is actually in Gimp 2.2, but it is relatively hidden in dialog menus. The color picker has been removed from the main tool window on the left and everything color-related is now here. Two notable features were shown at a Gimp event a few years ago, and only now are they starting to appear: Spot Healing and Foreground Select. Spot healing is just like the tool in Photoshop. You define a place to "heal" from, then you click on the spots you want to patch up. In the picture above, I removed the blue blob shown in the first screenshot of this post, only using the Healing tool. Another feature from Photoshop that was in the Gimp first (but never went public until this release) is the foreground select. You simply doodle on a person or texture you want to select, and it will make a best guess at selecting the object. It still needs a little bit of work, but it works fairly well. This is one of the Gimp updates that I definitely will be looking forward to as development progresses. It is now becoming more and more "usable."